What Are the Tests for Anemia? Anemia is a medical condition that occurs when the blood is unable to deliver sufficient amounts of oxygen throughout the body. 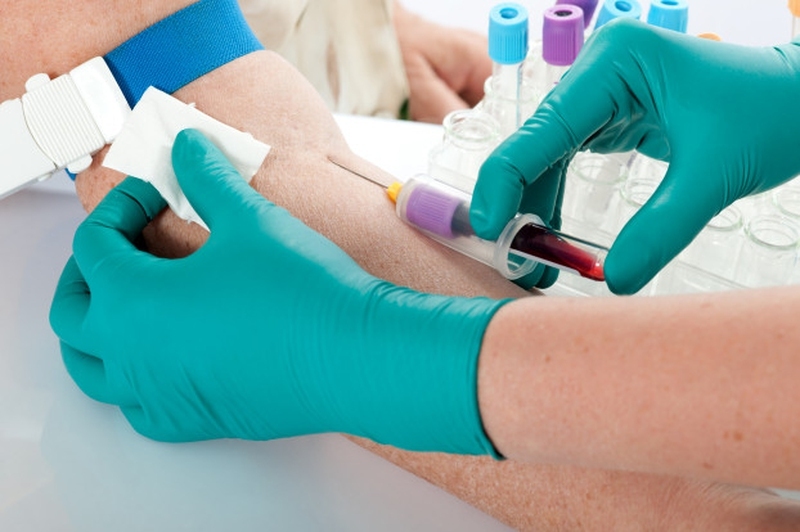 If you are suspected of having the condition, you will most likely be asked to undergo a diagnostic test for anemia. Diagnosis of anemia consists of a variety of procedures, which are listed in detail below. Your family medical history will be one basis for your doctor’s diagnosis of anemia. A physical exam and medical test results will also be important in determining whether you are sick. Because symptoms for anemia are not always visible, your doctor might sometimes be able to diagnose your anemia while checking you for another condition. The fastest way of checking whether you have anemia would be to ask for your family and medical background. Your regular diet and any underlying medical conditions you may have can also provide information regarding your anemia. Checking for unusually irregular heartbeat and breathing. Feeling your abdomen to gauge your liver and spleen sizes. Pelvic and rectal exams to pinpoint any areas with excessive blood loss. The first diagnostic anemia test used to assess anemia is usually a complete blood count (CBC), which measures many components of your blood. These components include hemoglobin, which carries oxygen to the different parts of the body, and hematocrit, which measures the amount of space in the body occupied by red blood cells (RBCs). Low levels of either component may indicate that you have anemia. The CBC also measures your RBC, white blood cell (WBC) and platelet count. Unusual amounts of these components may mean that you have anemia, an infection, a blood disorder, or another medical condition. Mean corpuscular volume (MCV) is another thing measured by a CBC. The MCV gauges the size of your red blood cells, which may be abnormal if you do have anemia. Stool Hemoglobin: Bloody stool can be an indicator of internal bleeding, specifically in the intestines and stomach area. Tests to measure the amount of blood in the stool include the stool Guaiac test or the stool occult blood test. Blood Smear: Blood smears allow doctors to get a clear view of your blood cells and check their physical appearance, such as shape, size and number. Serum Iron: Tests that measure your serum iron levels are used to determine whether your anemia is caused by a deficit in body iron. Transferrin Level: Tests to measure your transferrin level assess whether protein is transferred properly throughout your body. Ferritin Level: Tests evaluate the iron stores in your body. Folate Level: There are also tests that measure your folate levels, which in needed in RBC production and will decline when you have an improper diet. Vitamin B12 Level: Tests for Vitamin B12 levels detect if you have poor eating habits, which can be a cause for pernicious anemia. Bilirubin Level: Measuring bilirubin levels can determine whether you have hemolytic anemia, in which your body’s RBC’s are rapidly destroyed. Lead Level: Lead toxicity tests can help detect anemia, especially in children. Hemoglobin Electrophoresis: Hemoglobin electrophoresis is used to determine whether you have thalassemia or sickle cell anemia. This is more commonly used for people with a history of anemia in their family. Reticulocyte Count: It is a test that measures the amount of new RBCs that your bone marrow produces. Liver Function Test: This test assesses how well your liver is functioning. This may give your doctor clues as to what other conditions you have that may be causing your anemia. Kidney Function Test: A kidney function test can pinpoint whether you are experiencing any kidney dysfunction. Such failure can lead to anemia due to erythropoietin deficiency. Bone Marrow Biopsy: If you are suspected of having a bone marrow problem, this biopsy may be performed to assess whether your RBC production is normal. Iron deficiency in children. If you suspect that your child may have iron deficiency, which is one of the causes of anemia, do not hesitate to contact your doctor immediately. If you know your child is already at risk, especially if you have a history of anemia in your family, have him tested by a doctor when he is nine to twelve months old, and then again six months later before having his final anemia test at two years old. Pregnancy and anemia. A blood test will be performed on you when you first pay your doctor a prenatal visit. To make sure that you and your baby are not at risk for anemia, your doctor will likely perform this test on you for every trimester. A list of all your health concerns, even those that seem unrelated to anemia. A list of key stressors and changes in your lifestyle. A list of your medications, vitamins, and other supplements you are currently taking.